Serverless computing is a misnomer. Of course, there are servers even in the world of the serverless, but this technology is not meant to be literal. It is meant to represent the extent in which servers are used. The service is mainly used by developers, and this may not matter to smaller CPA firms, but to enterprise level offices, this can be a great new technology. And like all technologies, what the big boys have now, everyone will have later. • Your IT outsourcing provider will not have to worry about dedicating specific servers for code or functions. The snippets of code can rest anywhere they wish and don’t have allocate processing power or memory as resources. • The snippet of code is stored until used. This is considered a start and stop framework. This means resources are used when the code is activated, and then released when the code has fulfilled its function. • Stored in the cloud it is currently best with cloud applications, especially those applications that are used on the internet. As the technology fans out across platforms, then it will be more useful on internal networks. • Enterprise-level CPA firms will look at developing their own applications in-house. The applications will have a faster time-to-market experience, since testing cycles will run much faster with this technology. • The technology itself helps reduce the need for monitoring. Since the code is not a constant flow, this limits how much monitoring needs to be performed. On the other end of this, it is very hard to monitor the snippets of code that do exist. These snippets may be assigned to several different servers, which make it even more difficult. If there is a problem somewhere it can be very hard to track down. • Since the snippets are stored in the cloud, and are not allocated to specific servers, it may lead to problems with costs. If your CPA firm jumps on this technology, and you are utilizing the cloud as a test bed, then make sure you contact your IT outsourcing provider about possible costs. • The number of users calling a specific snippet is limited. Currently, if too many users call the same code at the same time, then it can cause some applications to crash. I am sure that as the technology moves forward they will get together with cloud providers and find a workaround for this issue. Since the code is stored in the cloud, there can be mirrored snippets across several servers. This would allow a server snippet to accept a limited number of users before redirecting other users to a mirrored snippet of code. The technology is great, but it is not ready for real-world use quite yet. And, those in the experimental phase are run by enterprise-sized corporations. Don’t look for this technology in small- or medium-sized CPA firms for several years. 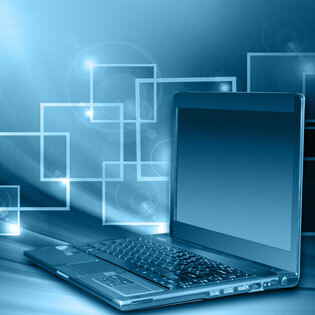 Get a free assessment to learn more about computing and IT outsourcing solutions.